This work contains text in English and German. 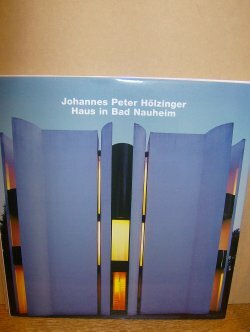 In the summer 1978, the cover of the magazine "Bauwelt" showed a photograph of an unusual building. It was tersely introduced to readers as a 'private house with office in Bad Nauheim', but it was immediately obvious that this was a built manifesto. What appeared was a strictly symmetrically articulated, steeply rising facade, emanating dignity and composure. It also seemed able to manage without windows, which further enhanced its austere elegance. And then there were the strikingly slender, sharp-angled wall elements, which seemed captivatingly graceful, or even delicate and fragile - as though folded from paper. The fact is that, long before Gilles Deleuze had cast his spell on a new generation of aesthetically ambitious architects, Johannes Peter Holzinger was putting his folding skills into practice as a matter of course. 59pp.